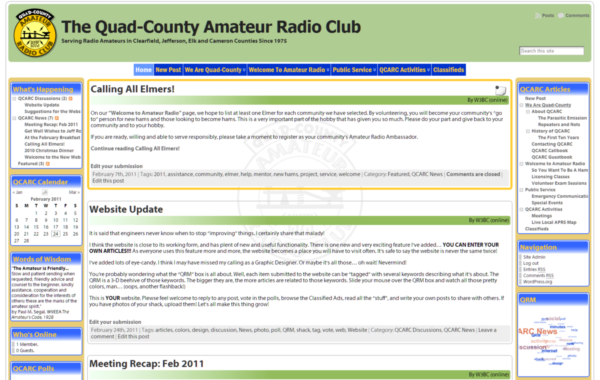 The Quad-County Amateur Radio Club was founded in 1975, to serve Radio Amateurs in Clearfield, Jefferson, Elk and Cameron Counties, and the adjoining 11 counties. Documenting our club’s history is a large and important project for the club, and we need everyone’s help. If you were around in the early days and can dig up a box of photos, we will be very happy to add them to our Quad-County Scrapbopk!